Playing dress up is my favorite thing in the morning before other activities begin. It’s exciting to put together an outfit that successfully channels my mood and document it for my future references and probably other people’s inspiration. To keep my blogging activities active in the midst of my busyness every day, these days I take my outfit snapshots with my phone. That way I can more quickly process the photo to update my social media. Again, I feel the need to express how Samsung Galaxy Tab S plays a big role in my daily life, particularly in this regard. 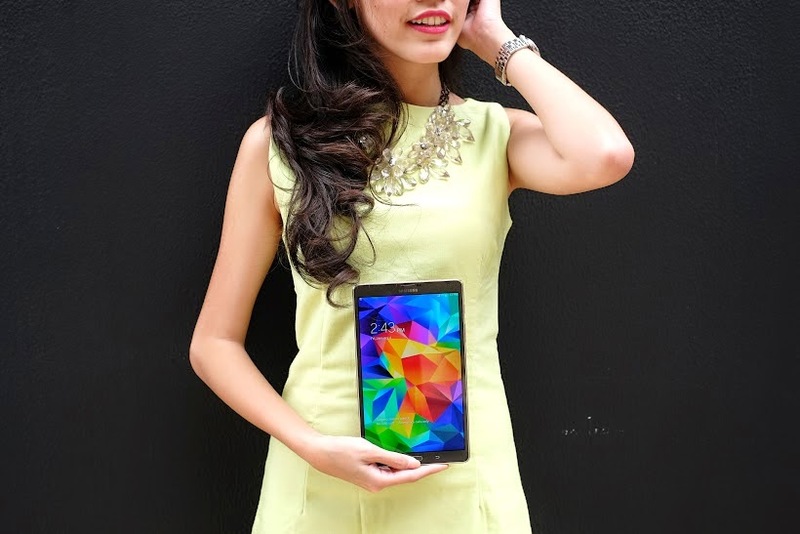 First, Galaxy Tab S is equipped with Super AMOLED screen. Super AMOLED screen is a technology that integrates the capacitive touch screen layer into the display instead of overlaying it on top of the display. This technology eases the process of producing photos and videos as you favor them. #OOTD girls and guys will definitely love it because it offers nearly 100% color accuracy. 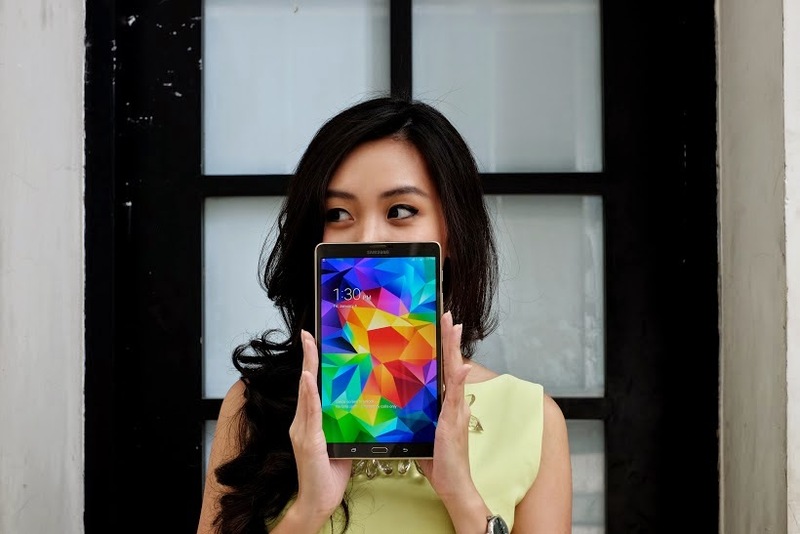 Plus, this feature saves Samsung Galaxy Tab S much more battery power because it does not need backlight. Furthermore, the SideSync 3.0 feature provides for instant interface which allows you to access your phone in Galaxy Tab S. Text processing, data transfer, voice call communication, you name it. Impressive, right? So bye-bye easily drained battery and hello fabulous #OOTD pictures! Wow the necklace is awesome ! So classy ! Hey, I just came across your blog, and wondering if you wanted to follow each other on Google Friend Connect ? Let me know!